Well, it has actually happened. A car I wasn't that interested in a few years ago became the one I wanted as a toy/track car going forward. 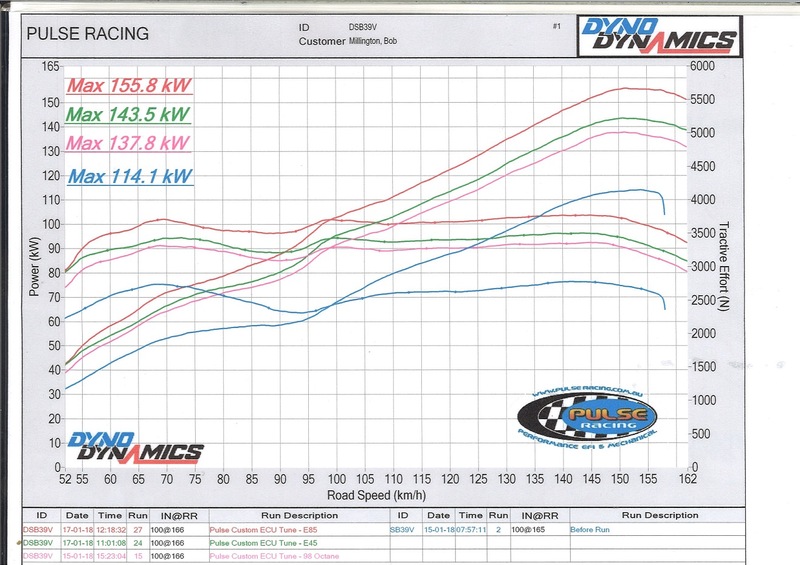 The reasoning is I can fit into a category that is more about car set up and driving than power output. Going by this years results my car would not have been competitive in the class I won last year, so deciding to retire the poor old thing may have been a good idea after all. 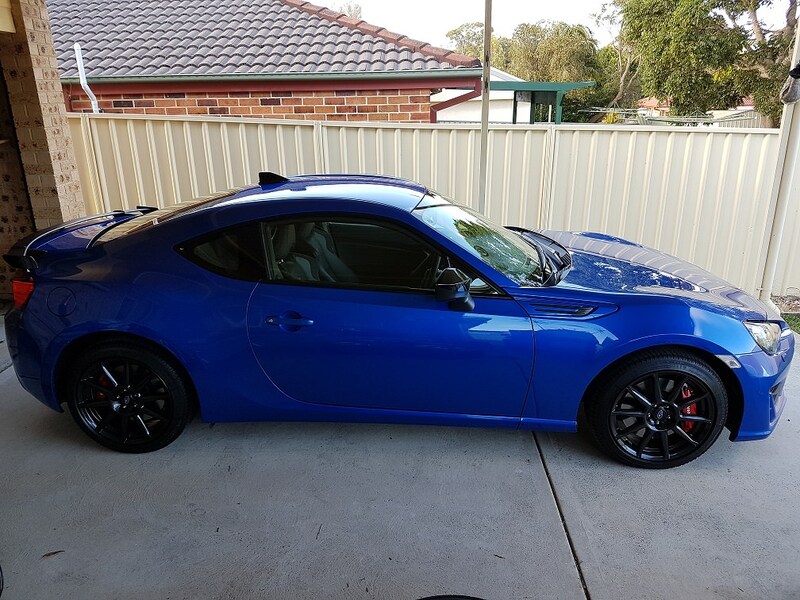 MY17 BRZ Sports Edition in WR Blue. on went the RS-Zeros with AD08R's. I'll test fit the rest of my wheel options over the weekend. Defi Advance ZD clubsport package (with OBDII bizo), so oil pressure, oil temp & coolant temp off sensors with revs/speed/lighting off the OBDII. Whiteline RSB mount reinforcement brackets. 2 x CG Lock seat belt "lockers"
My 5000 series front rotors will go on with some new 4000 series rotors going on the rear. EBC Red pads all round (for now). 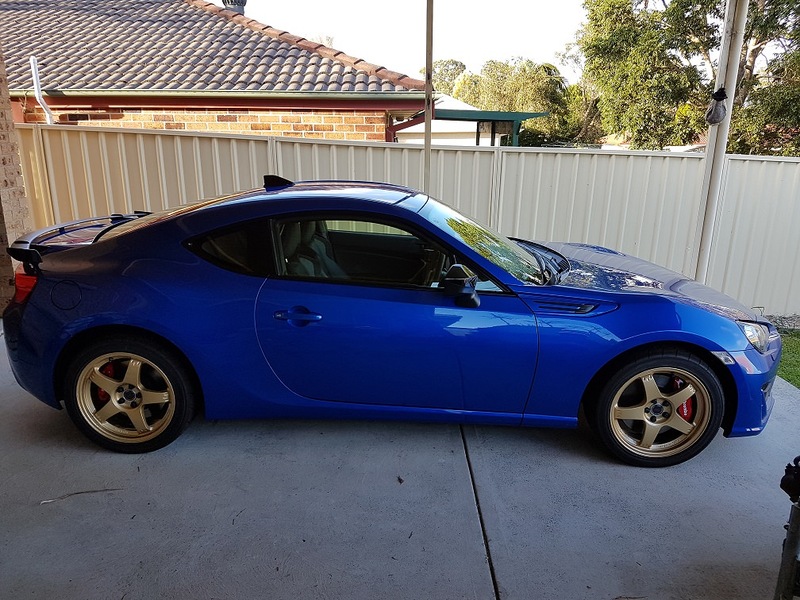 The plan is to put some km's on the car (run it in) and get used to a RWD that is not a 5m long ute, then get some tuning done early next year (exhaust, flex tune) for next years Sprints and Hill Climbs. Later next year I'll go the coil over route and probably adjustable arms etc to get the geometry where it needs to be to improve the balance. That plus some chassis bracing and possibly a flat floor (if I can get away with it). I'll be running my RAYS RS-Zeros (with AD08R's) for most of the time until I wear the tyres out. I have a mint set of Ver 8 STi BBS alloys as well, these will eventually get some semi's around about when the AD08R's wear out. I'm not sure what I'll do with the 17x9 CE28N's. Technically they're too wide to remain in the class i want run the car in (can be 1 inch wider than stock), but if later on I want to run some decent aero I'll be pushed up a class and I will be able to use them. Maybe I'll run them anyway, it turns out that the stock wheels are 17 x 7.5. 7.5 + 1 is 9, isn't it? The stock wheels are wrapped in some pallet wrap and sitting in the shed. Last edited by be_oh_be on Fri May 11, 2018 10:29 pm, edited 6 times in total. So run it in = brand new car? Yep, had 10 km's on it this morning, so a bit over 300 now after a bit of running about. Good motorsport cars by all accounts. I've got a lot of respect for the "light & good handling" way of doing things.